Don’t let the hassles of getting rid of your scrap vehicle go on. Give Metro Car Removal a call, and we’ll make you a “Cash for Scrap Cars” offer. Regardless of how you look at it, scrap vehicles are an eyesore to have in your yard. The thought of what to do with it puts many car owners off as the thought of prepping the vehicle is not appealing, just as Towing the vehicle to the wrecker. At Metro Car Removal, vehicle owners can do away with the hassles of getting their scrap vehicle removed. We are the ‘Car Buyer’ in town that specialises in Scrap Autos, so vehicle owners get the most convenient Car Removal Services. Just how convenient? We can be there today to remove your auto, and put cash in your hand. We are Car Scrappers that have the equipment and expertise to wreck vehicles to the point where there all that is disposed of is about 5 percent of the vehicle. Our standards adhere to green Car Refurbishing & Car Recycling, so you have an Eco-friendly Disposal for your Scrap vehicle. With the expertise of our CAR SCRAPPERS SYDNEY, you get value from the steel, metals, and components of your auto. When you Sell Your Scrap Vehicle to ‘Metro Car Removal’, you are Selling your Auto to Expert Car Scrappers. We are Car Scrappers that get all the value there is to get from a vehicle whether refurbishing working parts from under the hood, or recycling nearly the entire vehicle. We are experts in all types of vehicles- cars, trucks, 4x4s, SUVs, Utes, Jeeps, vans, buses & bikes of any make and condition. At Metro Car Removal, every car disposal is an Eco-friendly Car Disposal. We are Car Scrappers that practice the Green Principles of Car Recycling, so you get the peace of mind o an eco-friendly car recycle. We are among the Top Rated Car Removal Companies in Sydney. We provide fast and courteous services. We provide accurate Cash for Car quotes that don’t let our customers down. We provide vehicle owners with the way to get their auto sold today. One call and our appraisers will provide you with a cash quote that you accept or reject. We provide all the paperwork with the exception of the seller providing us with the title of ownership or scrap title which will be required at the time we collect & buy the vehicle. 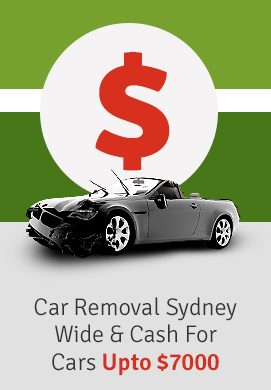 We are the “Cash for Scrap Car Buyer in Sydney” that are the ones to call when you want a fair price for your scrap car. Getting a quote doesn’t mean having to accept our Cash for Cars offer. Metro Car Removal provides vehicle owners with quick, no pressure quotes. 1. Call us at 0422 600 833. 2. Complete our “Get a Quote” form. With the make, model, age and condition of your vehicle, we’ll have a quote to you within minutes.